The rising sun illuminates headstones at Arlington National Cemetery, Thursday, Oct. 25, 2018 in Arlington, Va.
Today, the staff sergeant from western Pennsylvania, who served with the 26th Special Tactics Squadron, will be laid to rest at Arlington National Cemetery in Virginia. His funeral comes nearly two months after he was killed along with three others in the deadliest attack against U.S. troops in Afghanistan in 2018. For the Elchin family, this was supposed to be a time to celebrate. Dylan, who was 25 years old, was due to return to the states last week and planned to marry his fiancee. 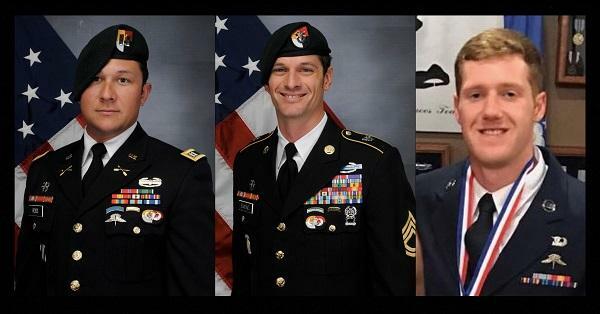 But on Nov. 27, a roadside bomb explosion in the Ghazni Province forever changed those plans. "Her whole future has been totally changed. I mean, the family here, we've lost our son, grandson, brother, but our lives are still going to go in direction that it was going in," said Dylan's grandfather, Ron Bogolea. "But these two ... they were getting married, and probably children in the future." Ron and his wife, Sandy, recently talked about Dylan in their home in Freedom, a small community in Beaver County with a population of about 1,500. "If you ask (Dylan), he would give you the shirt off his back then he'd button it up for you. You know, he was very, very good-hearted, very loving. I mean, the last time he was here, you know, every time it was big hug. 'I love you Pap.'" The couple was especially close to Dylan. They helped their daughter raise him and his brothers because his father, in Sandy's words, "wasn't around." Ron would often take the boys out on all sorts of outdoor activities like swimming and hiking. To him, Dylan always showed just a little something extra. "Ever since they were little when they get tired, you know, I'd push them and push them and push them," he recalled, smiling. "He had the ability to, to not complain, not whine, and to push harder and harder." Pushing to the limit and then some is often how training for U.S. special operations troops is described. Once Dylan earned the red beret as a combat controller, though, he never let on just how dangerous his job really was. He described it to his family as kind of like being an air traffic controller. But in reality, if a firefight broke out, he was the one who had to call in air strikes. By the way Dylan talked, Ron, an Army veteran himself, figured out his grandson would be in harm's way if he ever deployed to a war zone. That day came soon enough. On a warm day in July, Dylan was home on leave and stopped by his grandparents' home. "We must have talked for a couple hours. And he says to me, 'Pap,' he says, 'I really have a whole lot more confidence in myself now,'" Ron said. "I think he was trying to tell me, 'Even though I'm going to Afghanistan, don't worry, I'll be back.'" Once overseas, Dylan had a chance to catch up with his family via video chat. It was late November and the conversation was light. Ron said the troops lived in "containers" that they would decorate to "make it you know, kind of homey. It didn't look real hot me but there are some shelves there with some books on and equipment, and he kind of took us around the room and showed us what it was." Days later, Elchin was in Ghazni province. "I never thought in a million years," Ron said. "And the day my daughter got the notification. She answered the door. And Dylan had told her if they show up in civilian clothes, 'Don't worry, I'm just hurt. But if they show up in uniforms, it's bad.'" They showed up in uniforms. 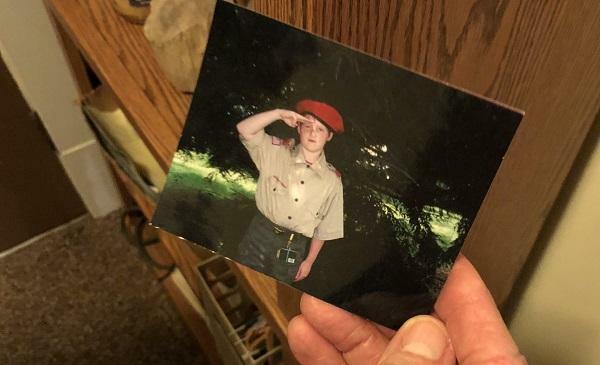 Dylan Elchin is seen as a child in this photograph, wearing a Boy Scout uniform and red beret. Years later, he would earn the honor of wearing a scarlet beret as a combat controller in the U.S. Air Force. News of Dylan Elchin's death reverberated across the community -- especially in the Beaver Area School District -- where he was a student up until his senior year. District Superintendent Carrie Rowe served as the middle school principal when Elchin was there. To her, Dylan was an exceptionally studious kid who would always ask "why" -- but not in a smart-alecky way. He was genuinely curious. "It always kind of seemed to me that he was maybe hanging back a half a step and evaluating the situation as opposed to some of his peers who were just kind of jumping headlong into things," she said. Looking through old yearbooks, Rowe comes across a photo of Dylan as a freshman. This is the young man she remembers. "To see him with a full beard and in his fatigues...just you know, he had really grown up," she said. "Of course, he had. But it was interesting, in my mind's eye, he's still that young man." Something that stood out to her about Dylan was when it came time for him to learn Spanish, he insisted on absorbing the culture as well. It was an early indication of the kind of skills that would serve him well in the military. "He understood that they really couldn't be separated, and really felt like he would be able to better understand people if not only could he speak their language, but also understand their cultural customs," she said. That attention to detail and natural curiosity would later serve him well enduring grueling training to become a special tactics airman. Rowe said his death is still hard for her and staff members. Capt. Andrew Ross, from left, and Sgt. 1st Class Eric Emond, both Green Berets with 3rd Special Forces Group, and Air Force Staff Sgt. Dylan Elchin, of the 26th Special Tactics Squadron. "You say his name and immediately, a vibrant young person who was always kind and always willing to help and really rooted for the underdog, who was curious about education, who was close with his family, comes to mind," she said. "Then to kind of juxtapose that with he was killed in a roadside bombing attack in a foreign country as a soldier at war. I mean, to kind of put all of those things together and even, even just now I just got a chill. I mean just to know that he's gone..."
It's also a reminder that after 17 years of war in Afghanistan, her current students have never known a time of peace. Back at the Bogoleas' house, Dylan's brother Ryan has returned home with dinner, as his grandparents look through photographs of Dylan. Ron pulls out a few of him in training and in Afghanistan. One shows him with his rifle. In another, he's equipped with a radio to contact the aircraft and one to contact the air ground commander. Ron lingers on a particular photo. "This picture here is just great, because it's his smile is just so wonderful," he said. "That he always had a smile on his face." This is how Dylan's family pictures him. Ryan pauses for a moment. Knowing his brother isn't coming home still shocks him. "All my brothers are great. ... We talk. But now it's like, I don't have that..." his voice trailed off. "He's the missing piece," Ron Bogolea offered. Ron Bogolea looks at photos of his grandson Dylan Elchin on Dec. 13, 2018. 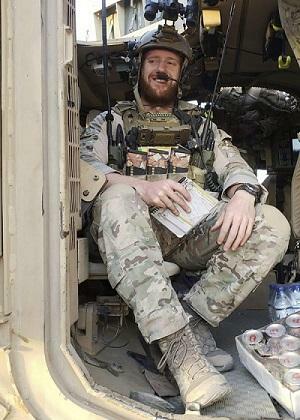 Elchin, an Air Force staff sergeant, was killed while serving in Afghanistan. Another Pennsylvania family is feeling the same kind of loss: Army Sergeant Jason McClary of Export, Westmoreland County, was on the same mission. He was buried last month in the National Cemetery of the Alleghenies, southwest of Pittsburgh, in December. They are two of the more than 90 soldiers, Marines and airmen from Pennsylvania to lose their lives in the war in Afghanistan. Dylan was the third from Beaver County to die since combat began in the wake of the 2001 terrorist attacks. Remember, Dylan was eight years old when it started. "It should have been over by now," he said. "When did it start? Like, 2000?" "17 years ago," Ron replied. "I would have been like eight or nine," Ryan said. Ron says the family -- like thousands of other military families over the last two decades -- is still working through their devastation and heartbreak. His mind drifts to a poem his mom showed him after his own brother died at a young age. "I hadn't heard this in 20 years: 'Just around the corner.' And for some reason, God put in my head 'just around the corner.' So I went on the internet looked up the poem and, and it just, it kind of describes how it really is, you know, even though he's gone, he's still here," Ron explained. "The love that I have for him is still saying the love that he has, for me, is still the same. And just imagine that he's around the corner and it's been been helpful to me. Sometimes, you know, you kid yourself, 'Well he could be right out there now,' but you know, he isn't. I guess we want to play tricks on ourselves." 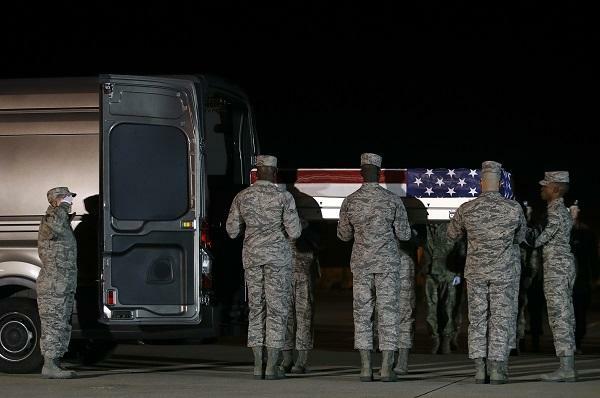 A U.S. Air Force carry team prepares to place a transfer case containing the remains of Staff Sgt. Dylan J. Elchin into a vehicle, Friday, Nov. 30, 2018, at Dover Air Force Base, Del. According to the Department of Defense, Elchin, 25, of Hookstown, Pa., was killed Nov. 27, 2018, by a roadside bomb in Andar, Ghazni Province, Afghanistan. Air Force Staff Sergeant Dylan Elchin served with the special forces as a combat controller. He received the Bronze Star, a Purple Heart, the Army Commendation Medal with Valor and the Air Force Commendation Medal. But to those who knew him, he will always be remembered as a student, son, grandson, brother, fiance, and friend. Elchin will be laid to rest today, as he requested, at Arlington National Cemetery. The ceremony is scheduled to begin at 11 a.m.
A bus filled with family and friends is making the more than 270-mile journey from Beaver County to join members of his unit to pay their last respects. Find this report and others at the site of our partner, WITF.